The Philippine Association of Laparoscopic and Endoscopic Surgeons will be holding their 1st Annual Convention at The Diamond Hotel on July 16-17, 2011. The theme for this year is "Innovation Through Collaboration". This event aims to encourage government physicians particularly surgeons to attend and participate in this interesting and highly informative activity. For more information, you can inquire through our Telefax # (02)455-3161. Or you can also e-mail us at pales_06 [at] yahoo [dot] com. 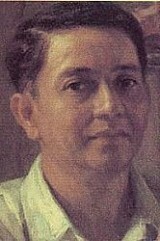 Fernando Amorsolo was officially the first National Artist of the Philippines. He was given the distinction of National Artist for Painting in 1972.